Role Reversal — A Granddaughter’s Perspective! Your parents are getting older and can no longer take care of themselves without assistance. The roles are reversed as if the parent is now the child, and the child is now the parent. This is definitely difficult to handle at times and can even become extremely overwhelming. One must divide the responsibility between siblings which may cause unwanted stress among everyone. It calls into question relationships that have developed over decades between siblings and between the parent and the their children. In my family, the roles have definitely been reversed between my mother and grandmother. My grandmother was diagnosed with Alzheimer’s Dementia, which has caused her to become quite dependent over time. My mother has 3 siblings; two of which, live in a different city. As you might imagine, the bulk of the assistance given to my grandmother is provided by my mother and my aunt that live close by. They alternate weekends and can still spend time with their own families. To accommodate their jobs and their respective family life , all four siblings also agreed to hire an agency that can provide professional caregivers for my grandmother. Also, my aunt and uncle that live out of the city, come in town and take shifts that enable the primary caregiving siblings to have a break and also to take vacations. As a granddaughter, I’ve seen my aunts and my uncle work together for my grandmother’s well-being. Taking care of a senior citizen who needs assistance is not impossible. However it definitely requires the same qualities your parents possessed when they took care of you, love, communicaiton and sacrifice. As baby boomers live longer, healthier lives, any assistance that is required typically becomes the children’s responsibility. For many families, the discussion about who will take care of Mom and Dad comes on the heels of crisis. As a result, most families find themselves unprepared to handle their parents’ increase dependency. 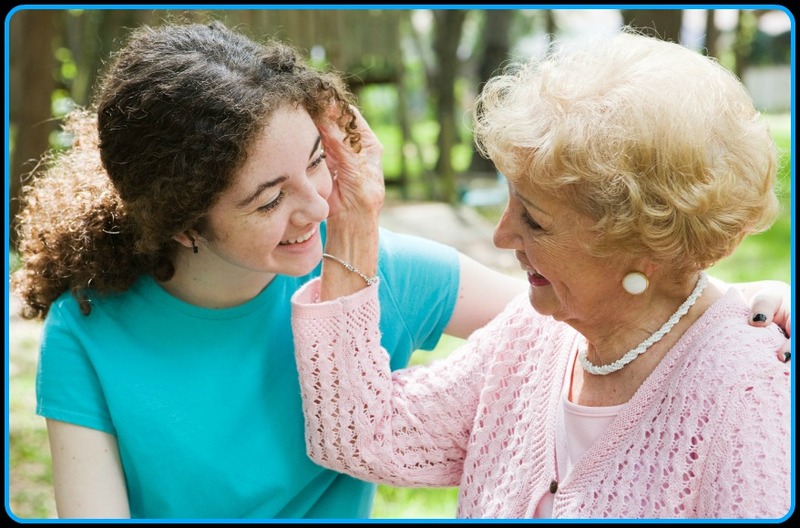 Still, with the increase in number of older adults comes the increase of adult children caring for their parents. More than 20 million in the U.S. alone provide care for an aging parent or in-law. What’s more, families rather than institutions provide 80 percent of long-term care. Addressing the sensitive topic of finances is also a must, as is compiling important personal and financial documents. Finally, takes the time to evaluate how to build unity among siblings-in spite of the high potential for tension. There’s no question that many caregivers only find frustration and exhaustion. But with solid support and communication, caring for an aging parent can bring a renewed sense of love, compassion, and tenderness into any family.